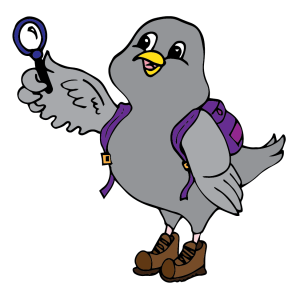 Have your little dipper join Evergreen Audubon this Spring 2019 for fun-filled nature classes that incorporate elements of STEAM (Science, Technology, Engineering, the Arts and Math) to connect young learners to the natural world! The Little Dippers program is ideal for preschoolers, part-time kindergartners or home-schooled students between the ages of 4-6 years old who love nature. Students will have the opportunity to explore and connect to the outdoors and local wildlife in new ways through scientific and artistic learning. Lessons include creating works of art using natural materials, utilizing science tools, going on hikes, and participating in nature journaling. Wilmot Elementary School students can meet staff members outside the school and be accompanied on a short walk to the Education Center (1/4 mile on a trail). Students from other schools can be dropped off at the Education Center between 11:30am and 12:00pm.